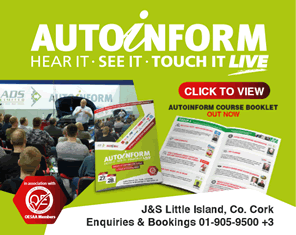 RNH Solutions is a specialist software provider to the motor trade, and is the chosen software provider to many of Ireland's leading motor factors and automotive component distributors. Based in Dublin, the company has clients throughout Ireland and the UK, focussing on the provision of reliable, innovative and competitive business management solutions to the factoring, retailing and distribution sectors. RNH is the Irish agent for MAM software, providing full sales and technical support for the popular solutions packages, which include Autopart, the Autocat electronic cataloguing system and Autonet e-commerce systems. All RNH Solutions software is Microsoft Windows-based, and can be tailored to particular business needs, allowing operators to boost internal system efficiency and improve business performance. A full on-going technical support programme is provided to customers by knowledgeable and experienced local staff, who have a genuine in-depth understanding of automotive component supplier business needs.